Who we are and how we got started/why we got started. We are a statewide group, but mostly concentrated in southern New Hampshire, with some regular members who live in northern Massachusetts and southern Maine. We also have some members who’ve moved away but stay connected to the club via the listserv and Facebook group, including Mitch Steele of Stone Brewing. 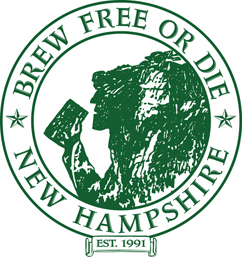 BFD was started in January of 1991 by several homebrewers intent on establishing a homebrew club in New Hampshire to ‘host’ the American Homebrewers Association conference held in June of that year in Manchester, NH. Members include extract brewers, all-grain brewers, cider and mead makers, brewing professionals and BJCP judges. Our members have enjoyed success at many prestigious competitions, including the National Homebrew Competition, the Sam Adams Patriot and Longshot competitions, MCAB, The Pilsner Urquell Master Homebrewer Competition, and The New England Regional Homebrew Competition. BFD is an eclectic mix of folks: young to old, scientific to artistic, thrifty to “spare no expense,” but all share a common love of beer. 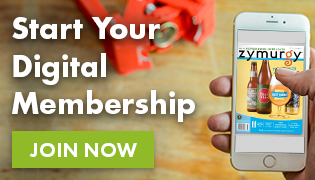 Members are incredibly generous with sharing recipes, advice, ingredients, equipment, time and elbow-grease. Meetings are usually held on the second Friday of the month in southern New Hampshire (sometimes we slip over the Massachusetts border), from 7 – 10 pm. Generally, meetings are pretty informal, with members bringing food and beverages to share. Occasionally we will have a formal technical presentation (Kai Troester is a member and generally leads these), a side-by-side tasting (say a batch split 5 ways with different specialty malts), or a club only competition. 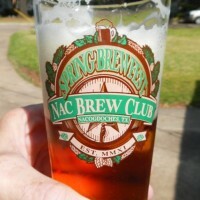 But for the most part, it is about socializing and sharing homebrew. We do have a business portion of the meeting to discuss the club treasury, plan events/competitions, vote on expenditures, recognize new members and members who have done well in recent competitions. Each October BFD hosts an annual competition, the New England Regional Homebrew Competition, now in its 7th year. We use this event as a fundraiser for charity and in 2011 we donated a record $3,000. In 2012, we will be raising money for the American Cancer Society in the memory of two late homebrewers instrumental in getting this event off the ground: BFD member Don Merkey and Southern Maine Homebrewers member Steve Loignon. 2012 marks the first year that this competition is an MCAB Qualifying Event. The two most popular events of the year are the club’s summer meeting and the December holiday party, each held on a Saturday afternoon. These two are by far the most well attended meetings of the year, and formal orders of business kept to an absolute minimum to keep the focus on socializing, eating and drinking. At the holiday party we even hold a beer themed Yankee Swap: here are the rules for those unfamiliar. Members often get together informally and outside of scheduled meetings, whether it is to brew together (including the AHA Big Brew Day), fill/empty a barrel for a barrel project, purchase bulk cider from a local orchard, or just hang out at the local beer bar. BFD has always had a presence at the National Homebrewers Conference and will be there in full force in 2013. See you in Philly!